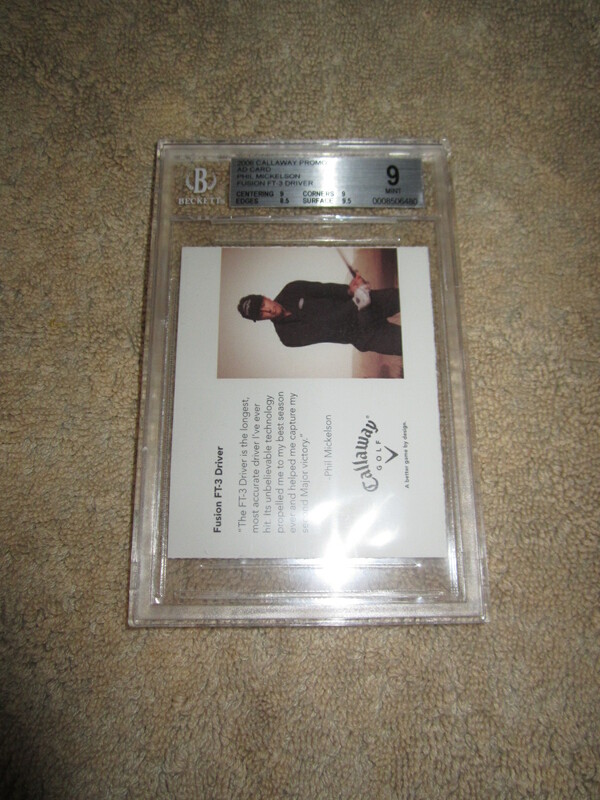 Rare Callaway Golf promo card featuring Phil Mickelson issued in 2006 and distributed exclusively as an insert in a golf magazine. Measures 2 5/8 by 3 1/4 inches. Graded 9 (MINT) by Beckett Grading Services (BGS). ONLY ONE AVAILABLE FOR SALE.